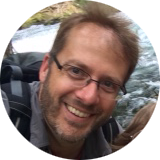 Nature Nonprofits – Tour Guide Mark – Let's Go Exploring! If the position will be open for an extended time, say that too. If the hiring process will take 6 months, also say that. A little information goes a long way for all involved. Obviously, not everyone who applies for a job gets the position, and communicating bad news to a number of people can be very awkward. How can this be handled well? I greatly appreciate your interest in private lands conservation and the [Name of Organization] in particular. Including yours, we received [# of applications] very strong applications for the [Name of Position]. Unfortunately, our hiring team has not included your application in the next round of consideration. I apologize for the anonymity of the response; in the past, I have always tried to contact each applicant with this news directly, but the good fortune of having many applicants makes that logistically difficult for me this time around. Hopefully, the quick turnaround on the outcome is at least some consolation. From experience I know that it is very trying to be left hanging about a position, wondering for a long time about the hiring process. I hope you will continue to pursue career opportunities that further the protection of clean water, fish and wildlife habitat, and special lands; no shortage of work to be done along those lines. Thanks again for your time, the effort you put into your application, and your interest in the work of the [Name of Organization]. This empathetic response leaves the door open for a future relationship by acknowledging the applicant’s time and efforts. It also shows that your organization is run by humans who care about the nonprofit’s mission. Job seekers want to work for your organization and help your mission succeed – what better group of supporters is there? Don’t undervalue this great audience. Always communicate effectively, if possible at the front end of the hiring process and show empathy. When I ask conservation advocacy organizations – and I’ve talked to a lot of them – about how they measure the success of their events and campaigns I what to hear numbers. I generally hear that the events were “OK,” or “well attended,” or that they just “don’t know.” I find this frightening because the organization is spending time and money, which they cannot justify. How do they know if their outreach and advocacy are really working? For $3 and change, you can start your organization on a path to better information; that is with a crowd-clicker (aka a tally counter). As an example, last year I volunteered at a local arboretum’s annual festival. Attending were 4,000 people who were ecologically minded and happy to be outside in the rain no less. It was a great audience for the sponsor and the other conservation nonprofits that were onsite. Of the 12 nonprofits, I asked about how many people had stopped by their booths; 11 booths had no clue, though some of those groups did have an email sign-up form. It was a great answer that she can take back to her boss and use the data as a baseline for next year’s event. Her secret for knowing the 284 count was that she used a crowd-clicker, and she diligently documented the rest. At the end of the day I checked in with her again, she had shared her organization’s message with 400 people; that is 10% of the event’s attendance! 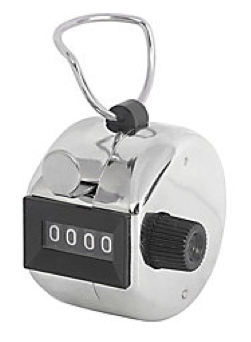 I get it, nonprofits are stretched for resources, but do yourself a favor, get a crowd clicker. Start measuring your events. Outdoor and nature organizations often encounter a drifting of their message; over time their imagery, colors, and fonts can appear differently across different media. This causes confusion for your supporters and donors – don’t disappoint them, stay on message – use Identity Guidelines (also known as a ‘Style Guide’). Identity Guidelines are the design elements that serve as your organization’s visual signature, this can include: graphics, colors, and typography. Creating such a document is often a time-consuming endeavor; it doesn’t have to be, use my free example to help your organization stay on target with your visual signature. Related: Learn about how to properly use trademark and copyright symbols in your nonprofit. Nature nonprofits wrestle with an everyday problem, how do they get their message out to the public? Many struggle with this challenge. This article can help. For an eco-organization to communicate their message it will involve creating development and marketing strategies, investing in the organization’s infrastructure, and most of all will require you to stop “selling” your message. All of us have casually ignored the person handing out leaflets at an event, felt ire when interrupted by a sales phone call, and closed the door on door-to-door salesmen. In such a setting where people selling a message are so easily dismissed, what is a nonprofit to do? Part of the problem comes from thinking of outreach as a function of sales. To be more productive nonprofits must differentiate between outreach and sales. Outreach and sales are different; never confuse the two as being the same thing. This is where the art of sales begins. Sales include activities that are about helping your donor to cross that decision threshold. This might include some negotiation. Moving over the threshold should only occur after a period of nurturing and trust has been crafted. That’s where nonprofits run into problems, they beg for money by shotgunning, cold calling and using door-to-door tactics, methods that push donors across a decision threshold they are not yet ready to cross. Donors don’t want to be forced into a decision; they want engagement. To be successful in your outreach, all of your engagement work must have one foot in development (building relationships) and the other foot in marketing (helping the donor to succeed in what they want to do); first let’s look at development. Your outreach program should have one foot firmly planted in a development strategy. Development (also known as fundraising) is about developing relationships, hence the name. Would you take your sick child to someone who claims to be a healer, or hires someone who claims to be qualified for a job, or gets married without knowing more? No, you would develop some type of relationship first; maybe the relationship is just informational or is about common interests or something more compelling like shared goals. Nonprofit donors need a healthy relationship based on a compelling message, time, and trust before they will even think about helping your cause financially. Marketing is about helping people (donors) succeed in what they want to do. I like a plan that is SMART: Sensible, Measurable, Affordable, Relevant and Timely. All SMART plans should include real human elements of storytelling, seeks a collaborative solution, and have a desire for mission success. A marketing strategy will help with: forecasting lead opportunities such as events, field trips, webinars, and other campaigns; integrated planning, identifying audience opportunities, creating organizational identity guidelines (fonts, colors), utilizing automation tools for engaging and nurturing leads, qualifying potential donors, and measuring the results for improvement. Marketing is not about glitz, glamour, or arts and crafts; marketing really is a lot of unflattering work as working with spreadsheets, web site automation, studying data, and measuring results against goals. Marketing actions should always support the generation of revenue. Communicating an organization’s outreach message without a foundation in development and marketing is deadly; to survive and thrive your organization needs to embrace essential technology and create measurable processes. Utilization of an industry-leading database (like ‘Salesforce’ with a ‘Classy’ web skin for marketing activities). NOTE: of all the tools needed by a nonprofit a quality database should be the number one priority. Your mission is critical to good data that can be segmented and reports generated. Invest in a good database; used effectively it is an investment that pays returns many times over. The Outreach Manager/Specialist must “own” or at least have access to the database..
A well-defined marketing/development strategy for the entire organization. A plan for a nurturing campaign via email, snail mail, social media etc. that allows people who are interested in your organization, but not ready to engage, to remain aware of your message on a weekly or monthly basis. Use of more inbound vs. outbound marketing tools, such as using a blog to tell your story and use of social media tools as LinkedIn and Facebook. Marketing call-to-actions on your website that allow you to “capture” the email addresses of interested people (like signing up for a newsletter), a big “Donate Now” button/form so you can collect donations, ways to signup for events, webinars, download an information sheet, etc. Strong use of Board Members’ business/community relationships to help generate new contacts and strengthen relationships. The will to move forward by the organization’s leadership. Outreach is not about “selling,” it’s about engagement. Quality engagement comes from jettisoning outdated ideas, identifying solid marketing and development strategies, and investing in modern infrastructure to accomplish your outreach goals. Only then can outreach truly and successfully communicate your organization’s important mission. I once worked with an environmental nonprofit who appeared to have their fundraising (development) act together: they had a bulletproof strategy, multiple income sources for generating funds, great people, a solid database plus the skills to use it effectively; but they were still coming up short. What was wrong? The organization was reluctant to embrace what is at the core of fundraising – the art and skills of sales. “Yuk!” you say. Believe me, I understand the revulsion to sales. Sales are often associated with a sleazy or annoying person that pressures others into spending money on things they do not want or cannot afford. Sadly, we have all experienced this sinister side of sales when purchasing a car, which leaves the purchaser mentally frustrated, physically exhausted, and feeling emotionally cheated. The true art of salesmanship is not about cheating anyone, it is about common goals; for a nonprofit, these goals help donors achieve something that is emotionally fulfilling, and that helps to further your organization’s mission. The primary skill that nonprofits need help with is actually asking for money. Many people are timid about this, but to close-the-loop on all of your hard work, you must ask. Just remember that asking for money is not about you; it is about asking for money to help the nonprofit – an important mission that needs funding to succeed. Do not be afraid to ask donors for financial help. The process of mastering the art of skills of sales takes time, be patient, do your homework, and when the time is right, ask. When I started helping nonprofits with fundraising strategies I was surprised at how many became uncomfortable when the topic of raising money was mentioned. After introducing the subject I felt that some social pleasantry had been violated; like an obnoxious relative who talks about a sensitive subject during the Thanksgiving feast. It was obvious that just asking about money had struck a raw nerve. I understood the frustration but needed to know more about the source of their angst. Money is not contrary to an organization’s mission, rather it is the lifeblood that supports programs, public engagement activities, and helps to communicate the nonprofit’s important mission. Money is needed for the success of an organization. Making money is not shameful; money is neither good or bad, how it is used should be the focus. What is shameful is not allowing an organization’s mission to thrive. Money is not reflective of everything that is wrong with society. Yes, greed and financial inequality exist in society, but these issues are distractions in the conversation. Rather, focus on how your organization views money – see money as potential energy. Then ask, how can this energy be harnessed? One final thought: we have all heard that money does not grow on trees. True. Money is not easy to come by because it must be earned with patience even creativity – to think otherwise would be a turkey. Happy Thanksgiving! What are the Three Poltergeists of Nature Nonprofit Marketing and How can They Be Exorcised? Halloween is a great time to write about the three dangerous poltergeists of nature nonprofit marketing. At first, these spooks might appear as harmless annoyances but left to fester these poltergeists can poison and eventually kill your environmental nonprofit. What are these three marketing poltergeists and how can they be exorcized? The first poltergeist thrives when you stop developing new leads. New leads must flow into your nonprofit to grow support, expand your donor base, and replace former members that did not renew. This flow of leads must be continual for your organization to remain vibrant. Sure, there will be ups and downs in the numbers, but the leads must flow and you must always have a solid plan to bring in new leads. When an organization stops lead generation activities a poltergeist will take up residence at your nonprofit; without new leads, programs will diminish, community involvement will atrophy, and the mission will starve. Exorcize this fury before it makes a home. Always have a marketing plan that is forward facing, engaging, and will bring in high-quality leads. The second poltergeist revels when your audience is trivialized. Recently the development director of an environmental nonprofit mentioned her organization was not attending a celebrated annual community event because “it always had the same people and they would just be preaching to the choir.” I was momentarily stunned because she was missing a superb low-hanging-fruit moment for engaging with donors and nurturing future members. It was obvious the second evil spirit, the trivializing your audience poltergeist, haunted this nonprofit. The event was a community favorite; with attendance over 3,500 people each year it had a well-attended history dating back over three decades. The audience was passionate about environmental issues and very much in line with the nonprofit’s mission. The event cost nothing for the nonprofit to attend, and offered direct contact with individuals from ages 1 to 100 with attendance weighted toward retired folks. The only investment for this organization was setting up a tabletop display, 8 hours of time from a staff member or volunteer, and any communications they chose to send. This was a low investment, high engagement opportunity to interact with a receptive audience and nurture future donors/members. So why did the “preaching to the choir” nonprofit not attend? Because they were not interested in the life experiences of the people who would be most receptive to their message – they had trivialized their audience. When your audience is trivialized you open the door to a poltergeist that will create havoc and confusion within your organization. Exorcize this demon by not just working for your mission, but working toward your mission; be involved in what your supporters are interested in, be a part of their life experiences. The third poltergeist is nourished by nonprofits that are unresponsive. If a person knocks on your door, makes a phone call, or emails about participating in your nonprofit you should answer, right? Sadly, many organizations do not respond. Just from my own experiences, I have been repeatedly disappointed by unresponsive nonprofits. When an organization is unresponsive it tells the interested person they are not important, it also says your organization does not care about the mission. The frightening part is that the poltergeist does not move into your office, it moves into the mind of the individual. When that person wants to write a check to help a good cause, will they think of the non-responsive nonprofit? Yes, but they will write a check to your competitor. Exorcize this phantasm from your operations by being diligent about responding to those who are interested in your cause. Banish this trio of frightening poltergeists away from your nonprofit by keeping the flow of leads open, be engaged with your audience, and always be responsive to people who are interested in your mission. Your organization’s outreach and communications should be treated like gold. All of your outreach and communications are valuable assets that need to be protected and organized. Sadly, many good organizations do not manage their assets proactively. Have you ever seen files kept like this? 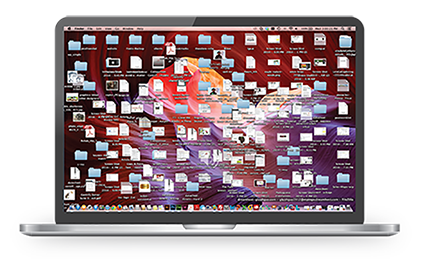 Organizing files in this “I’ll get to it later” approach can be a real mess. Let me say, “I get it.” I completely understand; when the office is busy, the phone is ringing, and there are multiple interruptions the various revisions, edits, changes, and updates to the project you are working on can get the better of you. It is easy for well-intentioned work to become a chaotic mess. 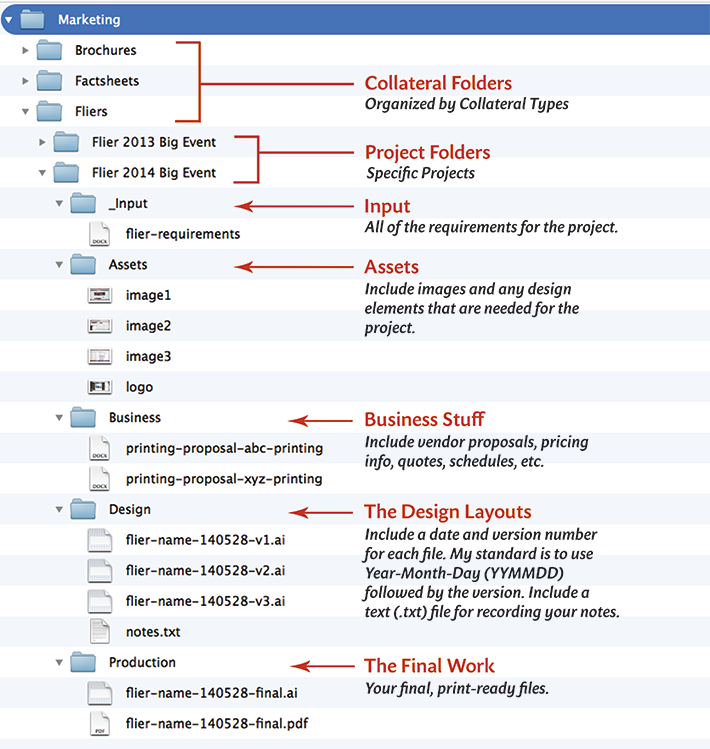 Below is the structure I use for keeping design projects organized. First, structure all of the brochures, factsheets, fliers etc. into Collateral folders. This makes organizing all of the various projects easier to manage. Collateral is a catchall term for items the public will see. Highest within the “Flier 2014 Big Event” directory is the _Inputs folder; this includes all of the requirements for the project. Note the “_” underscore, to have this folder automatically appear at the top of your alphabetized folder tree add an underscore before the name. This helps a great deal in keeping folders organized into a logical flow. Next is the Assets folder. This holds all of the images and any related design elements. The Business folder is all of the proposals, pricing info, quotes, and schedules that you might need to reference quickly. The Design folder is where I house the graphics files and their revisions. In the example are 3 Adobe Illustrator (AI) files, after the name is the date 140528 (2014, May 28) and there were 3 versions, with #3 being the most recent. I display the date with the year first, numeric month, then a numeric day because after several months/years of collecting files this is an easy way to view what is most current. The notes.txt file is one of the most powerful files in your design arsenal because you can document important changes, and include notes about why something was done, or who might have requested a big change. The Production folder contains the final, print-ready files of your work. Label the final version with the completion date and the word “final.” If the project is going to a professional printer I also include a readme.txt file that includes information the printer will find helpful. NOTE: You do not need to display the date as I have, include hyphens, or keep the file names in lower text; this is my personal style – do what works best for you. What is important is that you are consistent with how you name and organize your work so that it can be an asset for your organization. I hope this helps. What Can the Man-With-No-Name Teach Your Environmental Nonprofit About Marketing? Imagine that you are visiting the desert. You have come to this hot and dry place to spend some time in nature, let your mind become centered, and hopefully obtain some clarity about how to market your good cause. On the horizon, a shimmering apparition appears in the mid-day heat. As the form walks confidently in your direction you begin to see that he is scruffy and rough appearance. He stops, lowers his head and slowly lights the end of a stubby cigar. His steely eyes glare at you from underneath the hat’s rim. You know him from the movies, he is the Man with No Name! He spits on the ground. It must the heat or the lack of water, for you know this is not a real man, but a movie character, right? A shiver runs down your spine and your heart pumps faster then you begin to shake at the knees. Are you scared or excited? A gnawing sensation in your gut wants you to run like a deer while another part of you wants his autograph. You shouldn’t be afraid since he is a good guy …sort of. It takes all of these things to make the Man with No Name brand successful. That gets you to thinking… too often marketers of good causes only focus on the tangibles (the physical aspects) of their brand: the logo, design, layout, images, signage, content, the website etc. A rattlesnake slides nearby. He spits again hitting it squarely on the head, the snake retreats. You think about what he said. Marketers do often overlook the true product which is the message that people should take home in their hearts. He chews on the stub of his cigar then turns away. The wind blows around him making his ends of his grubby poncho wave erratically. He walks to the horizon and soon becomes an unrecognizable form, then his image disappears among the shimmering waves of rising heat. You think you understand…sometimes marketers of good causes focus only on the brand’s appearance: a logo, colors, typefaces, business cards, web site, or flyers; but, a brand is not just these physical things, a brand must include consistent products and services such as a positive attitude, behavior, enthusiasm, quality of product selection, and engaging programs. All of these things together reinforce the entire brand. It is time to leave. As you return to your good cause, you think about how to weave together the tangible and intangible elements so your messaging will be memorable. This is how a brand survives and thrives within a harsh world. As an environmental nonprofit marketer, you need to know about copyrights, trademarks, and patents. You do not need to be an expert, but you need to understand their correct use and when they should be applied. …Not knowing can cost you and your organization. For example, your boss approaches you; she says that within the budget are funds for a new outdoor sign featuring your organization’s logo. You have a non-registered trademark, but you are not sure what this means. Which of these symbols might you use? One California nonprofit, responsible for visitor services at a prominent park, was also confused by how to present their trademark. During a well attended public event, I asked the Executive Director about the Circle R symbol next to their name, as I had not seen it displayed this way previously. He pointed back to the logo and said, “Oh, yeah the patent, we recently added that.” I politely asked him to clarify “the patent.” His organization was using the wrong trademark symbol with the logo, plus he did not call it by the proper name. I do not know if the mistake cost the organization financially, but it was embarrassing. Such mistakes occur at for-profit companies too. After a tech firm had moved to a new two-story office in Silicon Valley, a new street sign was manufactured at a price upwards of $10,000 dollars. In a rush to finish-the-job, an admin ordered the sign and the incorrect trademark symbol, a “TM” was used on the sign when a “Circle-R” was needed. The oversight demonstrated that internal processes had not been followed and because of expense the error remained on the sign for several years. Don’t make these same mistakes; here are some basics about copyrights, trademarks, and patents to avoid such confusion. A trademark is a sign or design used in association with a product or service. The Circle-R demonstrates the US Patent and Trademark Office (USPTO) has recognized your trademark being used in the pursuit of commerce. Organizations and groups obtain the Circle-R to differentiate and better protect their identity from other products or brands. After you have been recognized by the USPTO, and you need to go to court to protect your brand, your case will be significantly strengthened. You should never use the Circle-R if the USPTO has not registered your trademark. To do so could invite possible legal headaches – don’t do it. I will go into depth about how a grassroots organization can navigate the process for obtaining a registered trademark in another article. For now, know that if the government has not recognized you as being the owner of the trademark you should not use the Circle-R. The “TM” is also used with a sign or design associated with a product or service, but which has not officially been recognized by the USPTO. For grassroots environmental groups using the “TM” is the easiest way to proceed until your organization is more mature. It is a good idea to keep a record of when you first associated the TM with your product or service. You will need this information if you apply eventually for the Circle-R registration. Also, you will need this if you ever have to go to court to defend your use of the trademark. Note: There is a type of trademark called a service mark “SM”, this is reserved for services and is not being discussed here. Using a “Circle-C” with your logo is incorrect – never use it! A copyright is used for original works, like books, videos, music or other creative pieces. The copyright allows the author to receive compensation or recognition for their idea. Use the “Circle-C” is at the end of your organization’s printed newsletter, emails, etc. Patents are used for inventions (an invention provides a solution to a product or process). If you or your organization invents a better mousetrap you would obtain a patent. You should never associate the word ‘patent’ with your logo or creative work. I hope this helps. When you market your brand or have to speak to someone from the public you can correctly identify a trademark, copyright or patent. Knowing this will protect your brand, save money, and minimize distractions. Nonprofit grassroots environmental organizations, park stores, nature centers, and interpretive centers are the front-line for communicating about the need for a healthy planet. This ‘green’ messaging often includes themes as conserving resources, preventing pollution and minimizing waste, but sometimes the products sold at these front-line locations are not in context with a green message. For help, make use of an underutilized resource – your vendors. Your vendors are part of a supply chain; you are linked to them and they are linked to the suppliers of raw materials. The actions of one link in the chain affect the other links. This is a push-pull relationship. If enough people/organizations want certain features or requirements such as recycled materials, reusability, low toxicity, responsible labor practices, environmentally friendly packaging, low impact manufacturing, or the reduction of environmental hazards, the vendors will listen. The catch is that enough of their customers (organizations like yours) need to ask and buy green products. 1. What is your organization’s goal? Before communicating a ‘green’ product vision to vendors you need to understand your own organization’s expectations and goals. What is the purpose of having a retail arm to your organization? What blend of product strength is needed? What is the typical dollar amount spent by customers in the store? What products will benefit the local resource? Will the products map to interpretive principles and be in context with the local resource? 2. Is everyone on board? Understand your organization’s pre-existing feelings and expectations for vendors. Are the decision makers (in the product approval process) open to new items? Do they consider vendors a tool for helping your store’s mission, or are they viewing vendors as money-hungry pests that want to turn your spot of nature into a big box store? If you do not already know, learn about what they will and will not approve. 3. Are there any recommendations? Talk to similar organizations about what companies are great vendors, and who are the not so great ones. Which vendors have a history of making low-quality products? Do any vendors have a history of greenwashing (saying they are green but really are not)? Who walks their talk? Which vendors come recommended? 4. What makes your product so great? Ask your vendors this question: “What makes your product so great?” It quickly tells you about the product and provides the vendor with a short opportunity to communicate the product’s benefits. If you see or hear things that can further your green messaging, the door is open to learning more. If you need to move on, let the vendor know that you’re looking for items that better support your organization’s message. 5. Does the vendor have a green strategy? Does the vendor have a strategy for incorporating green processes into their products? Can they demonstrate how the processes are being implemented? 6. What is the product’s life cycle? Learn about the life of the product. Is the product a cradle-to-cradle or cradle-to-grave product? Most products today on store shelves are cradle-to-grave; this means the product is manufactured (cradle), it is used, and then at the end of its life is thrown away (grave). Ask if the product is transitioning to cradle-to-cradle; this means the product is manufactured (cradle), it is used, and then at the end of its product life undergoes a recycling process (cradle). The recycling could be biodegradable, made into an identical product or be used for another purpose. It is important to let all vendors understand this is the preferred direction. 7. Who is in the supply chain? Understand the vendor’s supply chain. The supply chain is a system of activities, people and organizations that move products from supplier to customer. Most vendors consider their work as only one link in the ’supply chain’ – to sell a product to your store. Look for vendors with a broader view further up and down the supply chain. 8. Any plans for closing the supply chain loop? How is the vendor working to close the loop on the supply chain? What is closing the loop? Does the vendor have a plan, or are they planning to incorporate a production “process where the old product can be collected and in which post-consumer waste is collected, recycled and used to make new” products? Reference: Earth911.com. 9. How transparent is the vendor’s business practices? How ‘transparent’ is the vendor about their business practices? Do they have goals and accomplishments posted on the website or marketing collateral? 10. Is there a ‘Made In Sweatshop’ label? If you do not see any transparency in the supply chain, ask some pointed questions, “Is this a sweatshop product?” and, “Where do the products come from?” These can be a hard question to answer for many vendors because of the abundance of overseas suppliers and multiple middlemen that blur the supply-chain. If you do not see any transparency and the vendor cannot effectively answer these questions, find a new vendor. 11. What about heavy metals? Ask for information about whether the products are tested for lead and other heavy metals. Are lead (Pb) levels below the recommendations set by the Consumer Product Safety Commission? How were the products tested? What processes are in place to further reduce the presence of lead or other metals? 12. Are they a green business? Does the vendor have any green certifications? Does the vendor work with suppliers who have received any third-party certifications or awards? 13. Do they have other customers? Inquire about other outdoor and education groups with whom the vendor works. Is the vendor associated with organizations that support green principles? Do their employees have any special training from these organizations? What trade shows does the vendor exhibit? 14. Who to Choose? Evaluate a vendor’s feedback and consider who can best help with greening the products in the park store. Obviously, some vendors because of size, limited resources or absolute focus on the bottom line will not view going ‘green’ as an option. Avoid vendors with a complete lack of will. Evaluate all vendors based on the product needs and goals of your organization. Nurture the vendor relationships that are on a green track. 15. Green means Green Profit. 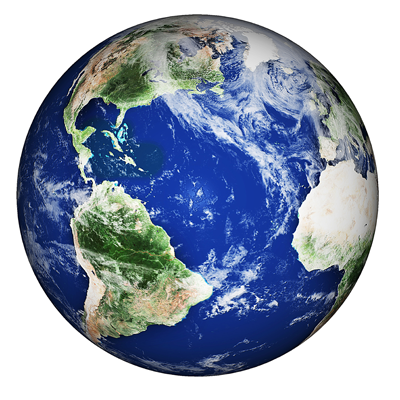 Most vendors understand that working toward a healthy planet is good business and believe that a long-term business relationship is good for themselves and the park store. It is important to remember that pursuing earth-friendly products is time consuming and currently more expensive than traditional methods. Vendors must see a return on their investment or they will not continue to pursue a green line of business. Do everything you can to help a good vendor succeed in their business, so they can help you succeed in yours. Communicating Your Environmental Nonprofit’s Message…is it Marketing, Advertising, Promotion, or Merchandising? It is critical for environmental organizations to speak their message, but what exactly is being communicated? Terms such as advertising, marketing, merchandising, promotion, and sales are often freely interchanged with each other. This can be dangerous as these words have unique meanings and can have powerful results. Being aware of marketing-related words and their definitions can strengthen your message. Advertising is the paid, sometimes free, communication through a medium (internet, radio, magazine TV, signage) in which the sponsored is identified, and the message is controlled. Advertising is not marketing; it is one of many processes that constitute marketing. A brand is a logo, name or design that is associated with a product or service. A brand is a symbolic link to all the information connected to a product, service, even an idea. A brand often includes a specific logo, fonts, and colors. Direct marketing includes items like catalogs, postcards, direct mail, and email. The strength of direct marketing is that sent items can be tracked and their results measured by the sender. If you have ever received a donation request in the mail from a local nonprofit this is a form of direct marketing. Graphic design is about visually communicating information. It includes both the designing and production sides of a product. A logo is a symbol representing the identity of a company or institution. A basic definition of Marketing is the art of communicating your products, services or ideas to a market; a market is a group of people who have a want or need for your product. Another definition of marketing is about influencing people and their decision-making abilities. A more practical definition of marketing is to answer – How do I help my customers to succeed; and how to do I nurture others so that when they are ready they think of my service/product? Merchandising is about finding the right products, price, promotion and location on the store shelf. Merchandising can also refer to a brand or image from one product used to sell another. An example of this is how the Star Wars movies images are used to sell a variety of other items: action figures, games, toys, lunchboxes, clothing etc. Packaging is the science, art, and technology of enclosing or protecting products for distribution, storage, sale, and use. Labeling is any written, electronic, or graphic communication on the packaging, or on a separate but associated label. Promotion involves disseminating information about a product, product line, brand, or company. Promotion can include direct promotion where an advertiser paying an advertising agency to place an advert; or indirect promotion where the consumer is unaware that promotion is taking place, as are sponsorships or endorsements. P.R. is the deliberate attempt to manage the public’s perception of a subject. Publicity is when information about a company, product or service is communicated to the public via the mass media. Sales are the act of providing buyers with a product or service in exchange for money or other compensation. Sales are not marketing – it is the practical implementation of marketing. Still confused? Think of it this way, marketing gets them through the door, sales get them to sign on the dotted line. These efforts are designed to have an immediate impact on sales. These can include coupons, discounts, contests, rebates, and free samples. POP displays help to display a product. Such displays are generally located on an aisle, at the point where the decision to buy is made. The POS is where you pay at the cash register. Many are already familiar with the POS area from trips to the grocery store. This is where candy and magazines are made available to captive shoppers while waiting in line. Members are the backbone of all mission-based organizations (nonprofits), without members the good work of advancing social and environmental change would stop. As a marketer for your organization, how should you treat members? -Like gold! But this leads to a question since my organization’s members are golden, how should I think about marketing to them? You need to think of them as more than just members for they are also your customers and clients. As a successful grassroots marketer who is a champion for your part of the world (watershed, green school club, nature-inspired event etc.) you must discover how to help those, who support your organization, to succeed in what they want to do. To do this, you need to borrow a page from the corporate world; think of your supports as customers and clients. These are interesting and revealing statements. True, mission-based organizations are different than for-profit businesses, but a fair argument can be made that many mission-based groups are stuck with outdated definitions and as a result are getting beaten up by very large businesses and well-financed interest groups that know when to adapt their definitions. Here is a quick look at the words: member, customer, and client. MEMBER: Derived from the Latin membrum, meaning limb. A member is an individual belonging to a group or part of a complex structure. CUSTOMER: Derived from the Latin word custodia, meaning to guard or keep. Today, a customer is one that buys goods or services. In a sense, customers are the economic custodians of your organization. CLIENT: Derived from the Latin word cliens, meaning one who leans on another for protection. Today a client is a person who engages the professional advice or services of another. It suggests a relationship based on the service provided rather than a physical product. So, who are people who make up the backbone of your organization? Do they join your organization just to be part of a group? Do they join because they want to contribute financially thus being a financial custodian and enabling your hard work? Do they see you as a leader in your field (protecting the natural world, or your corner of it) and they want to engage your professional skills to help protect it? A member can be all of these things. Within your organization, they can still be called members, but think of them within your marketing practices as something more, as customers and clients. Online Meriam-Webster and Etymology Dictionaries. What does your organization’s logo represent? How are you reaching out to the community, region, and world? How can your cause help people save money, have clean water, food etc.? Did anyone from your organization attend a recent training? Where can people find information about upcoming events? How much fun did people have last year at your event – how was nature helped? How can grandparents become involved? What are your programs for families with children? How can parents help their children learn more about nature? How can visitors help animals that are in your park, region, watershed etc.? How did local natural landmarks get their names? What trails in the area are recommended for families with young children? How do you listen to your supporters? How are the products that you sell helping to further messaging? How are your products helping programs in the natural area/park etc? How can families celebrate birthdays in your park or natural area? How can people donate to support your operations? What is a major investment made by your organization? What natural events inspire your staff or volunteers? What things make your park, preserve, or natural area a special place? What is your cause or mission? How does it help nature? Where are you located? Why? How does your organization help others? What are you doing to help local habitats? How does your organization help the local economy? What are your ‘green’ operations or business practices? What step are you taking to reduce your carbon footprint? What steps are being taken to conserve energy and water? What is the hottest interpretive product in your store right now? When was your organization founded? Why? What was your latest interpretive program? How successful was your most recent volunteer or interpretive program? What was a mistake your organization made? How did your organization recover? When and where is the next education program? When is the next family event in the park? What is a common misconception about your organization or services? How are you being impacted by budgets? Why should a person join your organization or volunteer? Feature a volunteer of the month. What is the greatest concern for your cause? When was the last time your organization made the news? Did your organization receive any local sponsorships? How is your organization working with local or regional educational programs? Does your organization offer any training or community outreach programs? Are you interested in blogging for your environmental nonprofit, but not sure where to begin? This article is a high-level introduction to the world of blogging. The word ‘blog’ is a truncation of the words ‘web’ and ‘log.’ A blog is a quick and affordable method for communicating your message electronically. Think of a blog as a series of reversed diary entries so you are reading the most recent articles first. These articles can be sorted into various categories and tagged with keywords so readers can easily find your content. You will need a blogging tool that runs on a web hosting service; WordPress is free to download and you can choose from hundreds of layout themes for displaying your articles. How Can a Blog Strengthen My Messaging? A well-written blog can put a ‘face’ on your organization’s story helping to expand your reach to customers and to those who you want to nurture. A blog is less about you, your cause, or even your organization; rather, it is more about helping your readers succeed. You need to write articles (about your cause) that are relevant to the interests of your audience, inspire your readers to create their own understanding, help them to solve a problem and allow them to be creative. In short, how can you help them to be successful? How Can I Become a Great Blogger? You can help yourself to become a great blogger by writing consistently, writing like you speak, being responsive to comments, encouraging people to sign up for your blog, and focusing on the quality rather than quantity of your articles. What Are Some First Article Ideas? Start with the basics about your grassroots organization: What is your mission and how does it help nature? Where are you located and why? How does your cause/organization help others? How do you help local habitats or the community? If you need additional blogging ideas my next two articles will include 50 ideas for marketing your message. 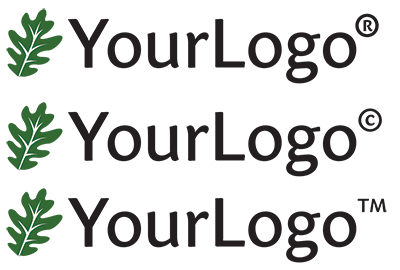 I’m proud to have worked with the Sequoia Parks Conservancy for the past five years. My images helped the parks communicate their value to an enthusiastic public and generated revenue that supported visitor outreach and interpretive services. The Sequoia and Kings Canyon National Parks are true treasures.